Good Work, I bought the indicator, at first it was shocking to see how it scanned the patterns, but after some time with it I felt more confortable with the system, it's really easy to manage your risk with the PCI box, and I was surprised to see patterns reversing even if they were differente from the standart harmonic ratios, I believe the team have done a good computerized research and backtest and are bringing it to the next level with new technology..! I bought this indicator and I find that it lacks a user guide, written user guide. There are many parameters, and most of them are unclear for a novice in the world of harmonic patterns. There are also many settings on the screen, which we don't know how to disable them, or understand what they are used for. Excellent work! The new version enables back stepping through previous patterns which shows just how often, and to which fib level the price retraces when one of the patterns appears. 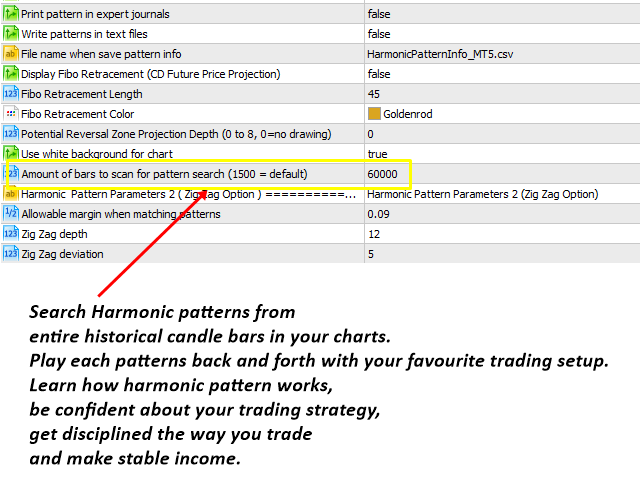 This description applied to both Harmonic Pattern Plus and Harmonic Pattern Scenario Planner since both of them are identical 95% of their functionality. 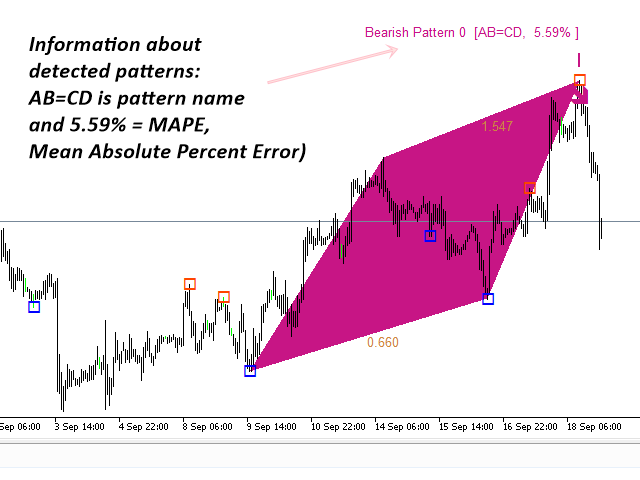 Most important feature in this new version is that you can add multiple of Harmonic Pattern Plus controlling different timeframes in one chart. 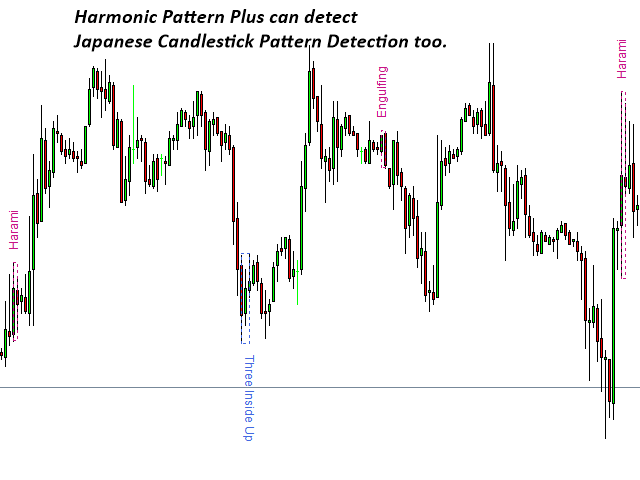 If you wish, you can add 4 harmonic Pattern Plus in one chart controlling M15, H1, H4, D1 timeframe or even more. 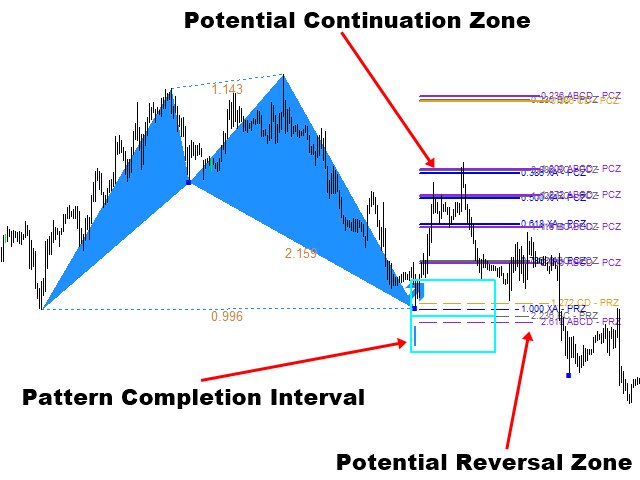 One limitation when you add multiple Harmonic Pattern Plus is that you can only use the Calculation Timeframe (timeframe to detect patterns) greater than current chart timeframe. 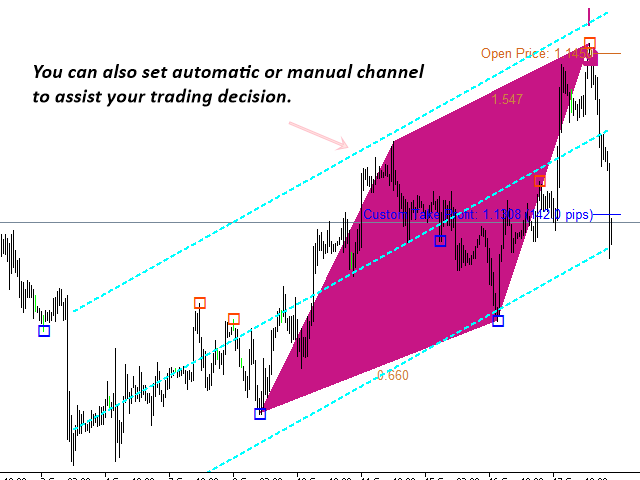 For example, if your chart timeframe is H1, then you can only use Calculation timeframe H1, H4, D1, etc. 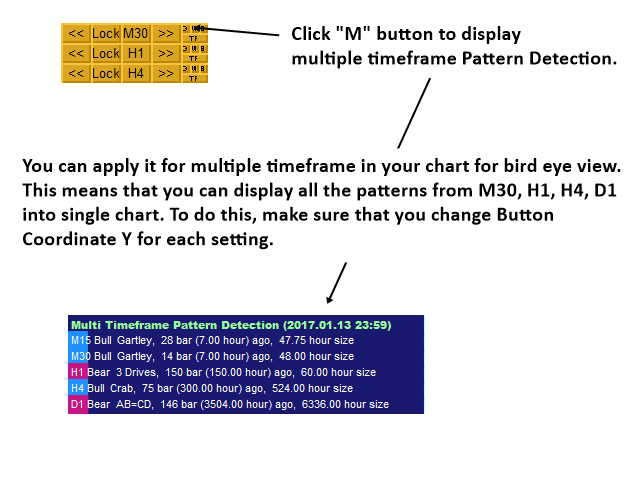 You can not use M15 calculation timeframe for H1 chart timeframe since you can not draw the M15 pattern to H1 timeframe chart. your Reward/Risk can range from 1 to 10 or even more in strictly mechanical trading. Why this happen? Do some basic math maybe looking at your chart. 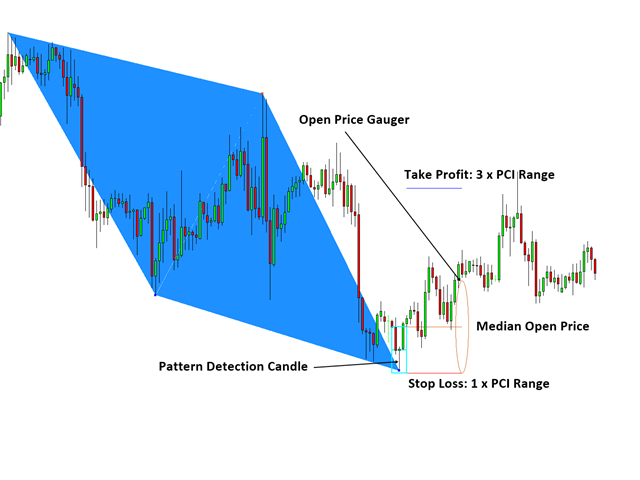 Note that this is the potential entry level shown only for your convenience but not limited to creating your own clever trading setup. The ellipses is like the ruler to gauge your potential entry in your preferred Rewards/Risk ratio and it is not an indicator showing direction or etc. In the version 7.1, If you set the ButtonTextSize = 0, then you can hide buttons from your chart. Really minor update. This is useful feature for user with small screen device. In version 6.5, Multi Time Frame Pattern Detection (MDT) feature is added if a user wants to check what pattern is formed in other timeframe. 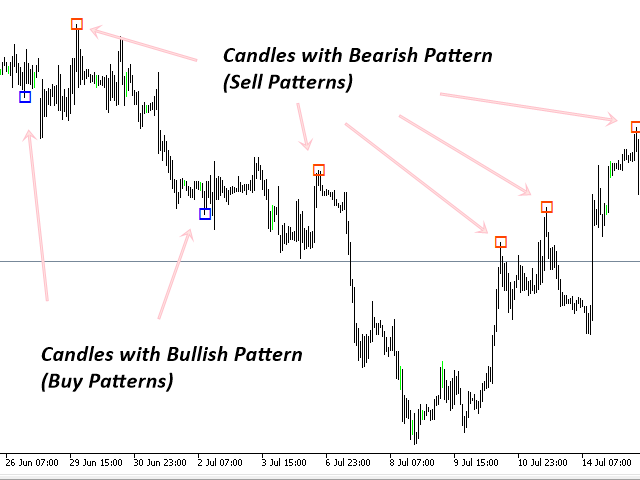 It is now possible to check patterns formed across all timeframes without changing your chart or timeframe. 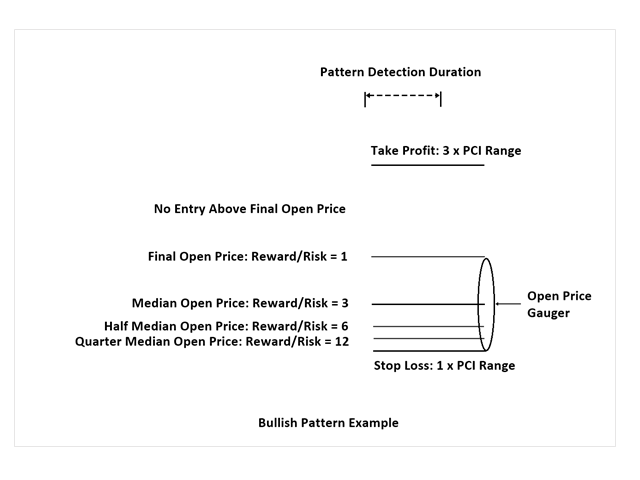 Button "MTD" is used to perform multi Time Frame Pattern Detection. 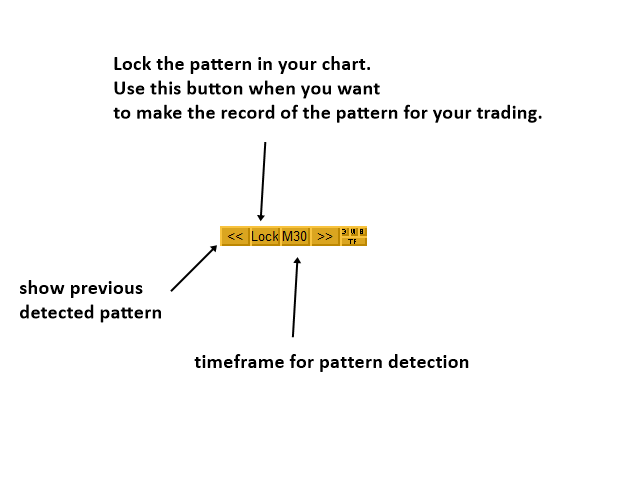 So, press this button to see or hide the multi timeframe pattern panels. We have also added five input settings in regards to this MTD feature. If you want to permanently run this MTD feature at every candle, then just set Use Multi Timeframe Pattern Detection = true. However, this MTD feature requires much heavier computation. Therefore, to run this at every candle, we will leave this to your own choice. 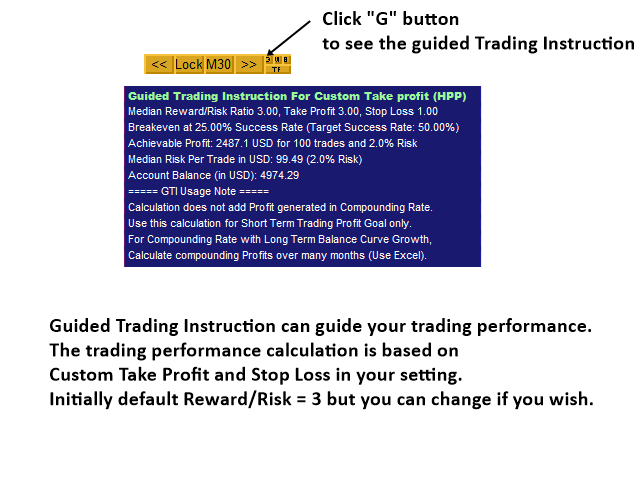 Overall, this MTD feature will help traders to make a lot better and more accurate trading decisions. 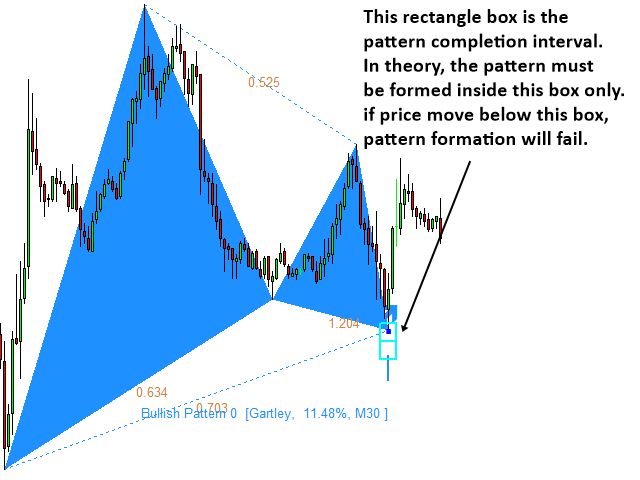 I found Name of the harmonic pattern on the chart was not displayed correctly in 4 digit broker platform. So I corrected this error.